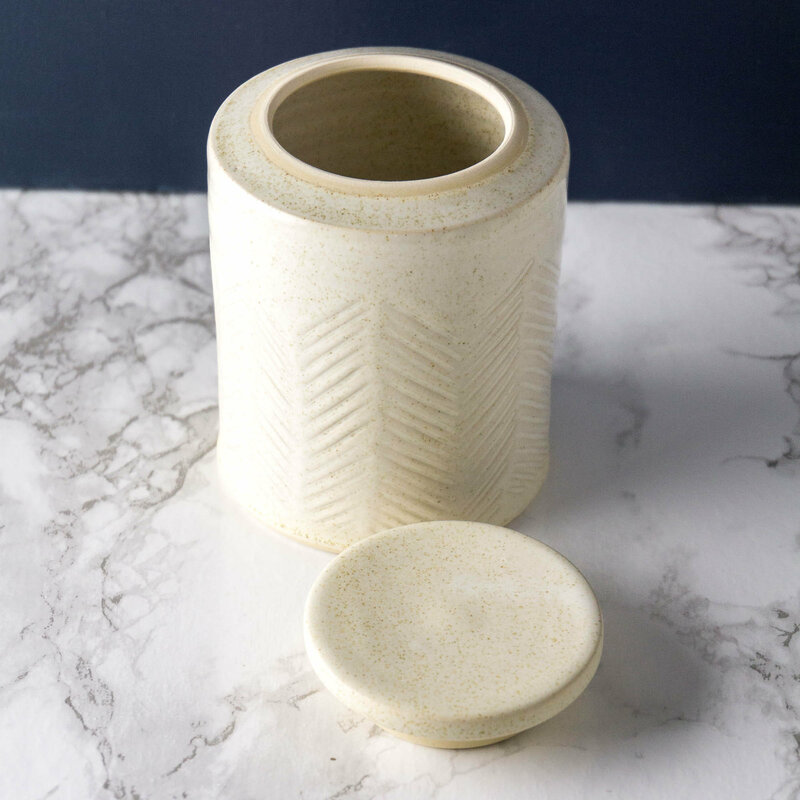 A handmade ceramic pet urn is a special vessel to remember and honor your beloved pet. 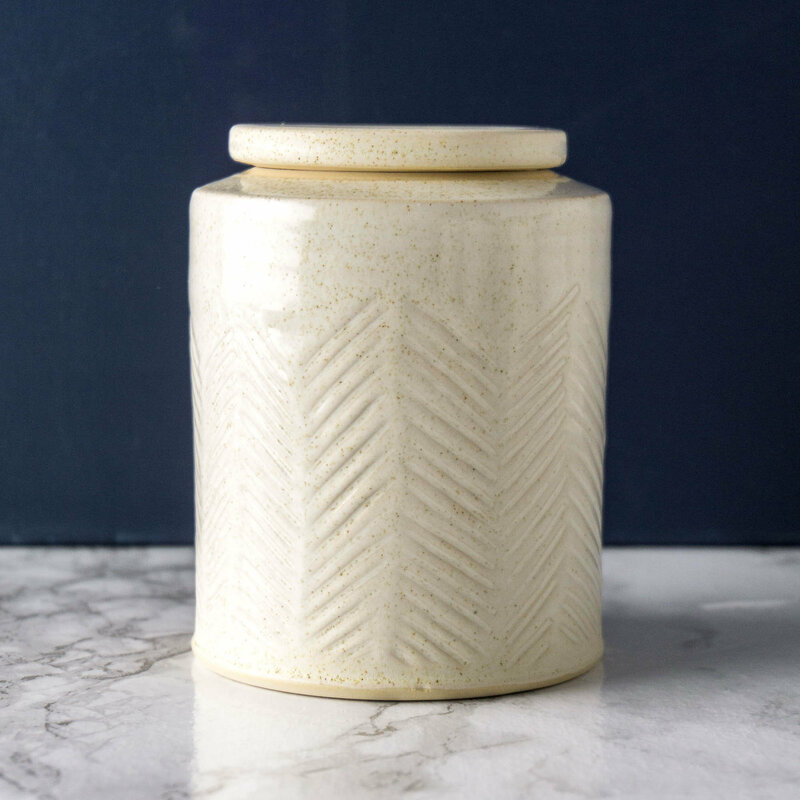 This cremation urn is inscribed with a herringbone chevron pattern and topped with a tight-fitting lid. 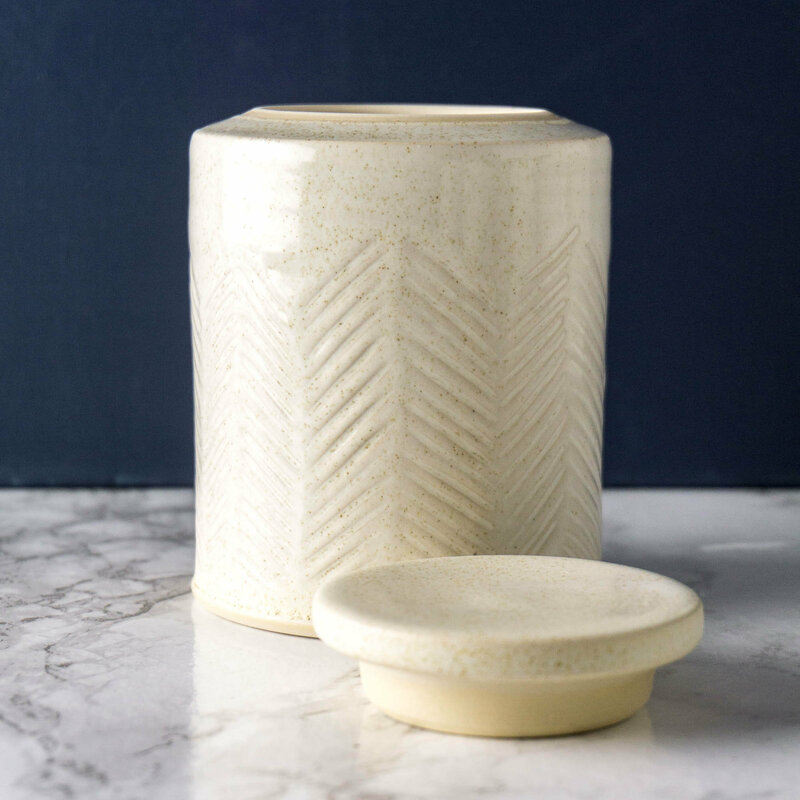 It is thrown on the wheel from white clay and glazed with a white-cream glaze. Please note that this capacity represents the absolute maximum volume of the urn. If you are close to the upper limit, please convo me and I can help you make a decision about urn size. Ash volume does vary and might not equal the standard "1 cubic inch of volume equals 1 pound of pre-cremation weight" convention. Please do measure the ashes you have received or ask the crematorium what size you will need. 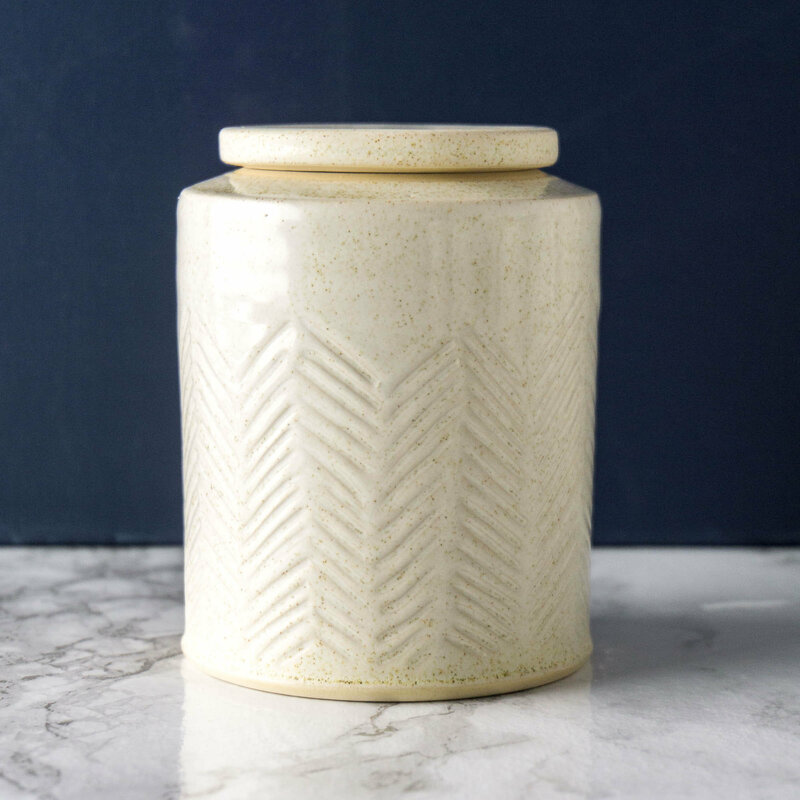 If you are unsure, please order an urn that is larger than what you need. Beautiful piece and speedy delivery. Thank you.